HDD Recovery Services stands apart from the competition with our proprietary technology, unmatched resources and ability to offer data recovery services for even the most complex situations. While many providers aren’t capable of full RAID data recovery services, we have over 10 years experience to solve the technical expertise to recover data from RAID arrays. 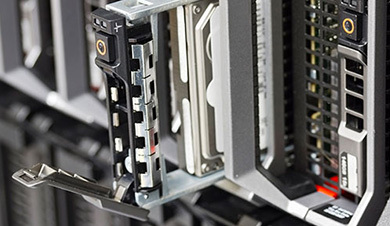 We use a combination of highly advanced recovery tools and techniques to access lost data from all types of RAID systems. We repair, recover and rebuild the data carefully to minimize loss and restore as much data as possible. We work all RAID levels, controllers and architectures. Recovery isn’t limited to specific manufacturers or hard drive types. No matter what drives make up your array, we’re able to salvage your data. IT professionals have trusted us for years to recover their data in any situation. From simple human error to catastrophic physical damage from mechanical failures or natural disasters, our team of experts has seen and successfully worked with it all. HDD Recovery Services offers the capacity necessary to handle the large and complex nature of RAID recoveries. Choosing a provider without the resources or expertise in RAID data loss situations only results in further data loss. When you work with us, your data is in good hands.